Very Very Vicky: Coral Cottage Featured on House of Turquoise Blog! Coral Cottage Featured on House of Turquoise Blog! How fun! Erin from one of my favorite blogs, House of Turquoise, has featured our little cottage on her blog! Yep. That's right. 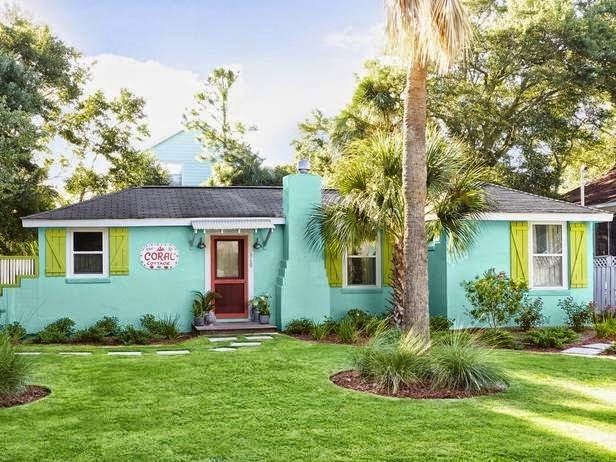 The Coral Cottage is on House of Turquoise! Erin is visiting Tybee this week and enjoying a little Tybee Time with her extended family! House of Turquoise and have a look! Thank you so much for sharing my post, Vicky! It was such a pleasure meeting you while I was visiting Tybee. Touring Doc Cottage was a highlight of my trip!! I also got to sneak in Coral Cottage before we left....it's even lovelier in person! Thanks Erin! I enjoyed meeting you so much!